Great for the livestock barn or take to the cattle auction. Great way to dress up the ranch or Farm. 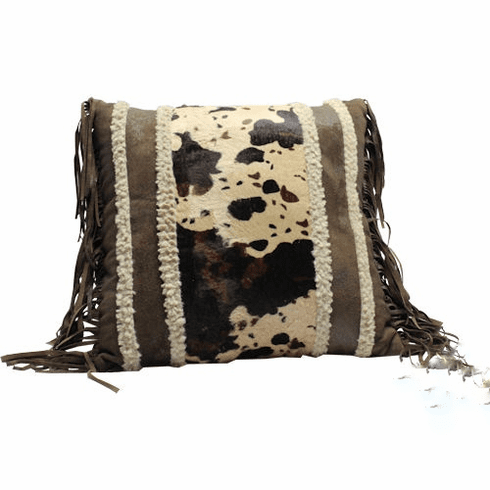 With the real look and feel of genuine cowskin this pillow is bound to please a true western fan.Trimmed with 3 inch fringe and faux sheep wool accents this pillow will give you the feel of the old west.